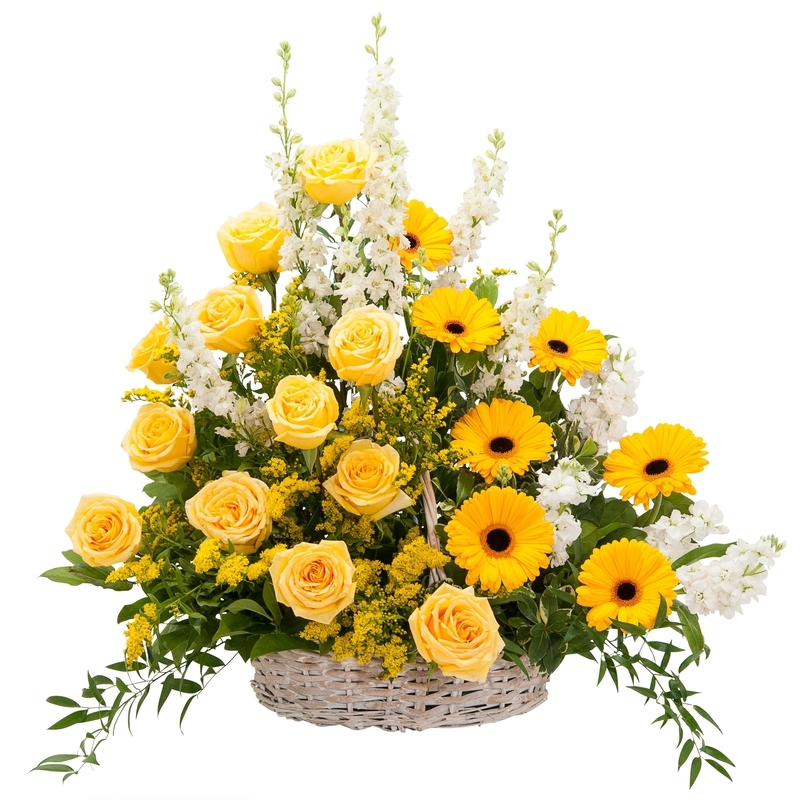 Leave it to us to create a beautiful basket arrangement with a mix of our freshest flowers of the day. 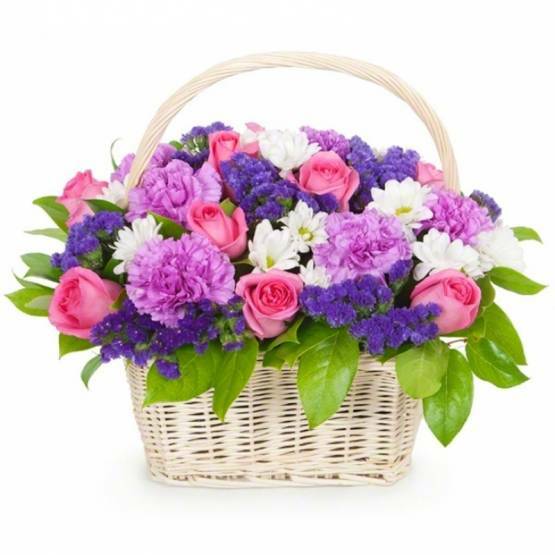 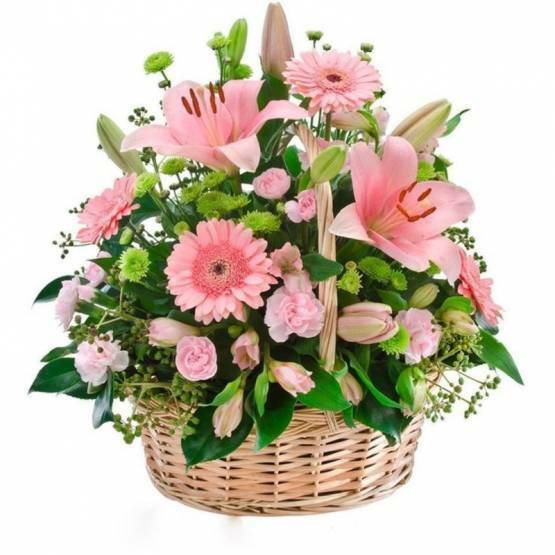 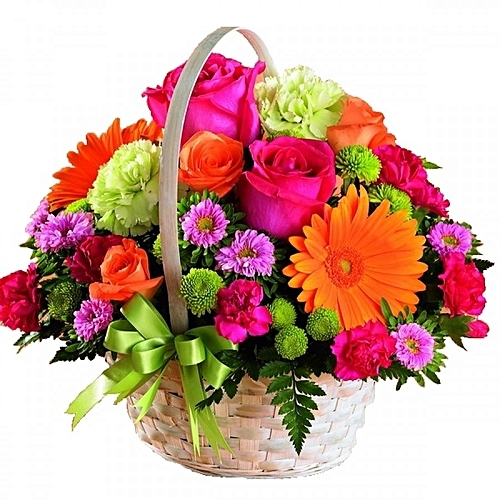 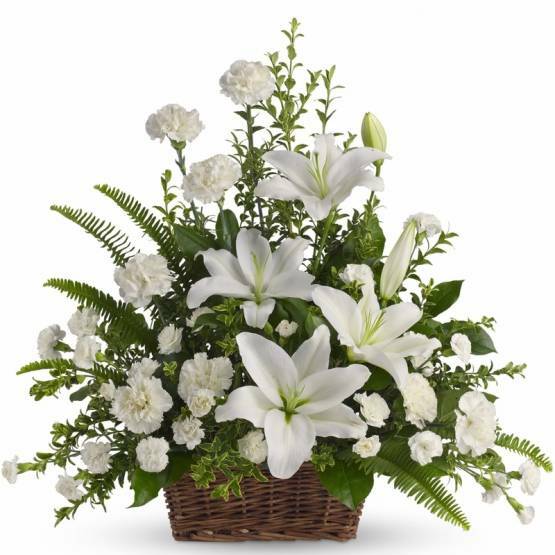 The price shown here is for the classic wicker basket design in a standard size with florist choice of flowers. 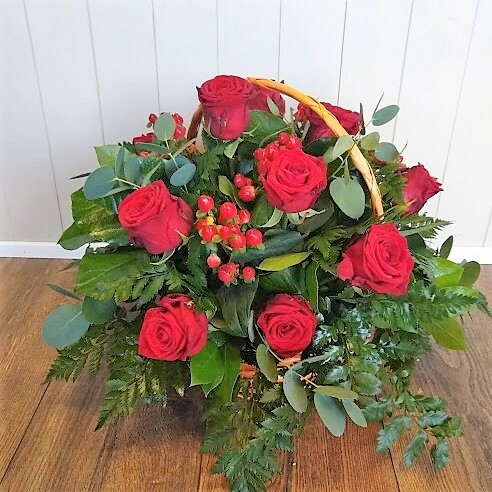 Please contact us or send us details in the Special Requests box below for any custom colors, combination of flowers or any basket design that you would like us to create for you.